Who’s a pretty boy then? 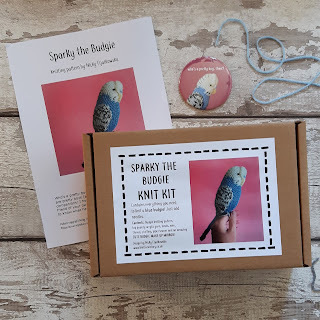 Sparky the budgie! 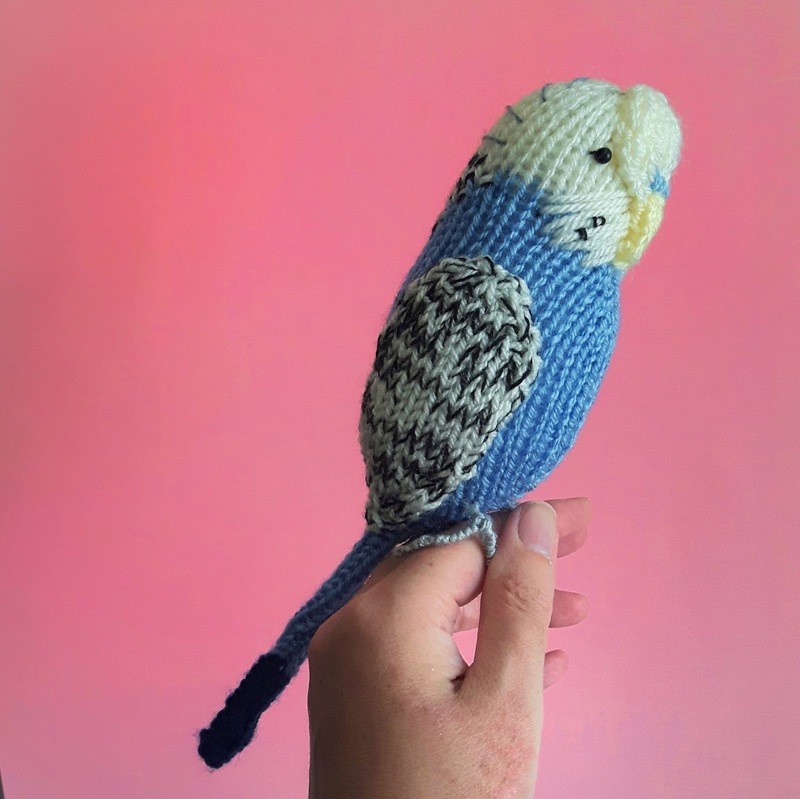 He’s easy to knit flat on 2 needles and can’t wait to be your new best knitted friend. His knitting pattern is here in my Etsy shop, and also on Ravelry and Love Knitting. 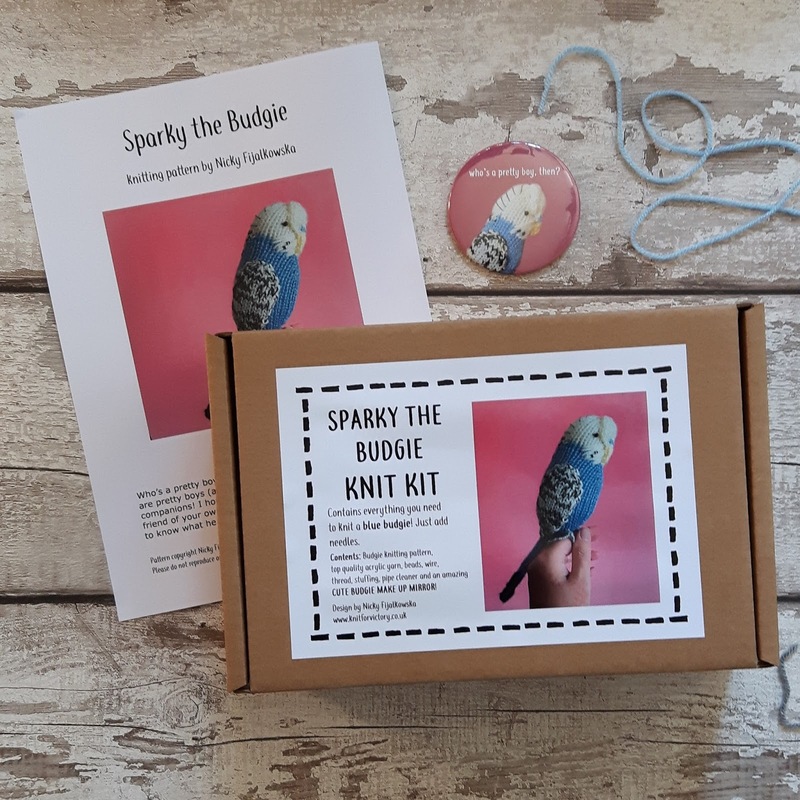 I’ve also put together a budgie knit kit, containing everything that you need to knit a Sparky, including yarn, notions, stuffing, the knitting pattern and a lovely handbag mirror – it would make a really cute gift for the budgie fan in your life. Beneduck Cumberquack is a very smart mallard duck gentleman! 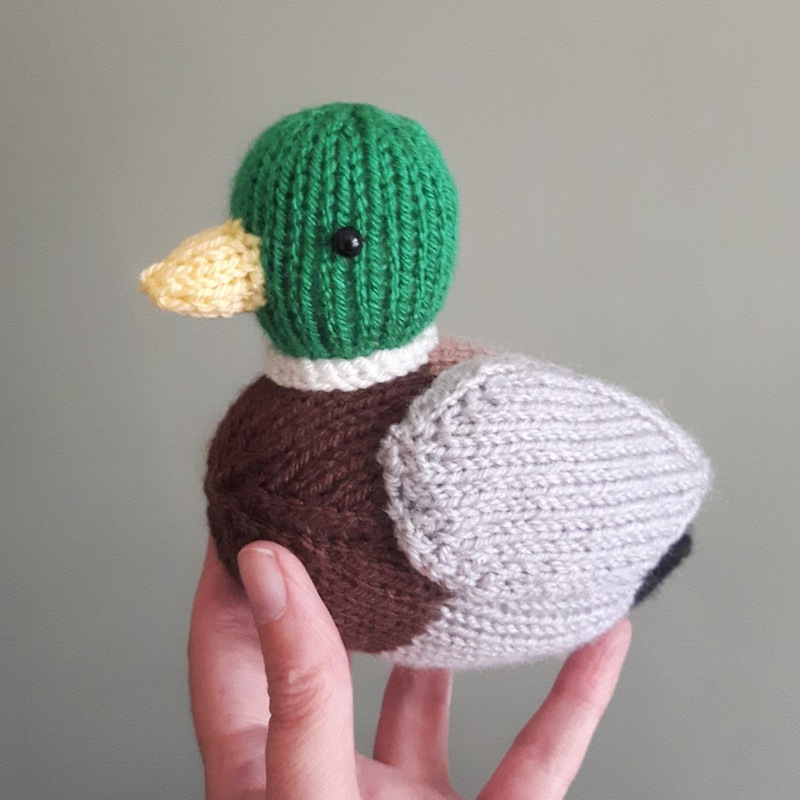 You can knit him from my pattern, or treat yourself to a Beneduck Cumberquack knit kit, which contains everything you need to knit your own mallard duck, along with a lovely Beneduck button badge.